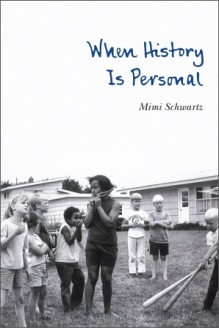 Description: We are pleased to welcome, Mimi Schwartz, author of When History Is Personal. Mimi’s latest book contains stories of twenty-five moments in her life, each heightened by its connection to historical, political, and social issues. These essays look both inward and outward so that these individualized tales tell a larger story – of assimilation, the women’s movement, racism, anti-semitism, end-of-life issues, ethics in writing, digital and corporate challenges, and courtroom justice. 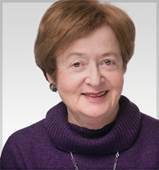 Mimi is a shrewd and discerning storyteller, who captures history from her vantage as a child of German-Jewish immigrants, a wife of over fifty years, a breast cancer survivor, a working mother, a traveler, a tennis player, a daughter, and a widow. In adding her personal story to the larger narrative of history, culture, and politics. Mimi invites readers to consider her personal take alongside “official” histories and offers readers fresh assessments of our collective past. Books will be available for sale and for signing. A kosher lunch will be served and there is a suggested donation of $5.00 per person.